Our normally very independent sleeper has changed his tune the last couple of nights. Caleb is known for announcing at nap time and nighttime, "(yawn) oh, I'm soooo tired!" and then promptly going into his room and getting into his bed (BIG boy bed, mind you) and that's the last we hear from him. I know, we're spoiled. Don't worry, Luke isn't a good sleeper at all, so it evens out. But the last two nights, after he's in his jammies and all ready for bed, Caleb has insisted that we rock for a while. How can I say no? He's growing up so ridiculously fast. Way too fast. So, of course, I'm gonna take him up on the rocking idea. He snuggles up into a little ball on my lap and for a few minutes he really does seem like a little baby again. Tonight, he wanted to sing while we rocked. So, we did. And when I'd stop, he'd say "More." I had to keep thinking of more songs to sing. Before I knew it, this oldie but goodie, was coming off my lips. God is so good. God is so good. God is so good. He's so good...to.... me. I made it through the song twice before the memories overwhelmed me and I was in tears. Suddenly, out of no where, I was remembering my Grandma Hoggard. 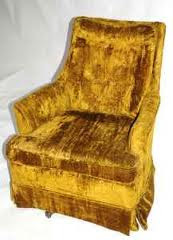 We'd rock in her green chair. Both of us snug as bugs squeezed side by side in the seat of the chair. And we'd sing. She left too soon. 11 years ago. I know she's the happiest she's ever been. But still, I wish my boys knew her. I wish she could hold them and rock them like she did me. Grandma loved kids. I think she taught the same 4-yr olds Sunday school class for decades. We taught it together for a handful of years. She's always tell me I didn't have to help her with the class. But I always did....because I wanted to. I loved spending time with her. And I loved watching her interact with the kids. I miss you, Grandma. Some days, I really miss you. And other days, a certain memory will overwhelm me so unexpectedly that my heart will ache from missing you so much. I'll always remember how you never turned down my request to rock. You would always smile, pull me up on the green chair, situate me just so and talk and sing and spend precious moments just being with me. That's probably why no matter how busy things seem, I can never pass up the chance to rock Caleb and Luke. Cause life's days pass by ever so quickly. And little moments like these are remembered forever.